Downing Students understand the challenges that you face when searching for student accommodation in London – accessibility, affordability and quality are key. Brand New for 2019, Holbrook is the latest addition from Downing Students and has been designed with you in mind. Just 20 minutes from Oxford Circus, North Acton has fast become a favourite destination for students and Holbrook’s location on the Central Line, only a few steps away from the tube station, makes it the perfect choice for easy reach to London’s universities and the wonders of the capital city. 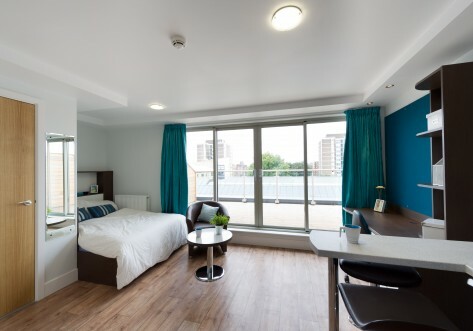 With everything you could need right on the doorstep Holbrook offers a wide choice of contemporary, best value student housing in London, from a range of 3 bedroom, 2 bathroom apartments in shared flats to self-contained studio apartments. 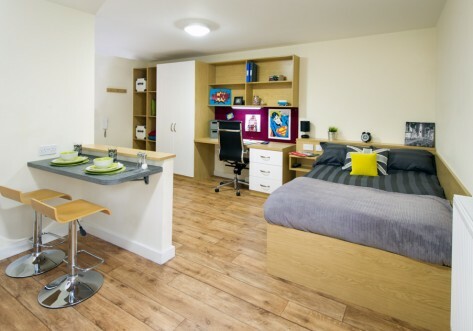 If you’re looking for great value check out the beautifully fitted rooms which are in smaller apartments for only three people, or you may choose to be in a larger flat with 7 or 8 en-suite student bedrooms and shared lounge. If you prefer your own space with private cooking facilities there’s a great selection of studio apartments. Whichever accommodation you choose you can live in style and be part of our Holbrook community with fantastic social space and first-class facilities. 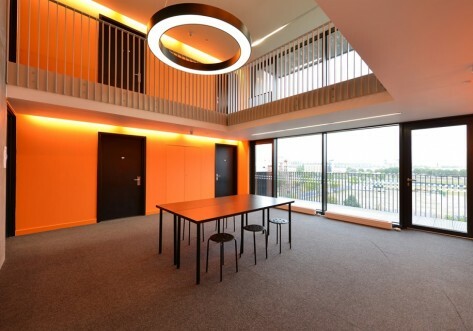 You can benefit from the communal relaxation and study areas, cinema room and gym – there’s always something going on so that you can socialise, make friends and feel at home. Our experienced and friendly management team will be on hand 24/7 to take care of you. 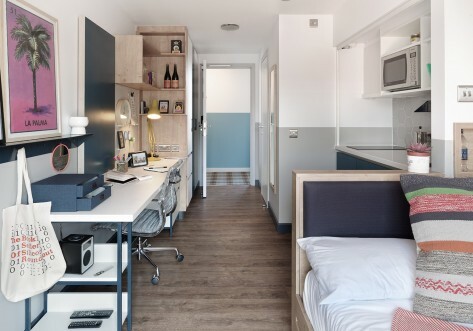 Secure, convenient, luxurious and great value – Holbrook is London’s newest student accommodation designed by experts especially for you. Shared apartment with 3 bedrooms and 2 bathrooms. These rooms can be booked individually or as a group of 3. Ensuite room of an average of floor space, in a Shared Apartment with 7 or 8 bedrooms. Ensuite room of an average of floor space, in Shared Apartment with 7 or 8 bedrooms, on floors 2-14.